Looking to build a wall trellis for your garden? This post has lots of trellis ideas and inspiration to get you started! I LOVE the idea of a decorative wall trellis for our yard. I’ve been busy researching some DIY wall trellis ideas, and I’m sharing them all with you in today’s post! 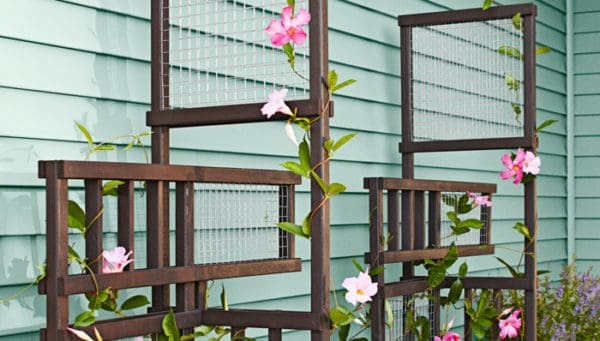 A DIY trellis is a fantastic way to add a fun textural element to your garden or courtyard. Wall trellises can be simple or ornate, depending on your style, are cost-effective (especially if you DIY it) and can be a fun project that comes together in about a weekend! 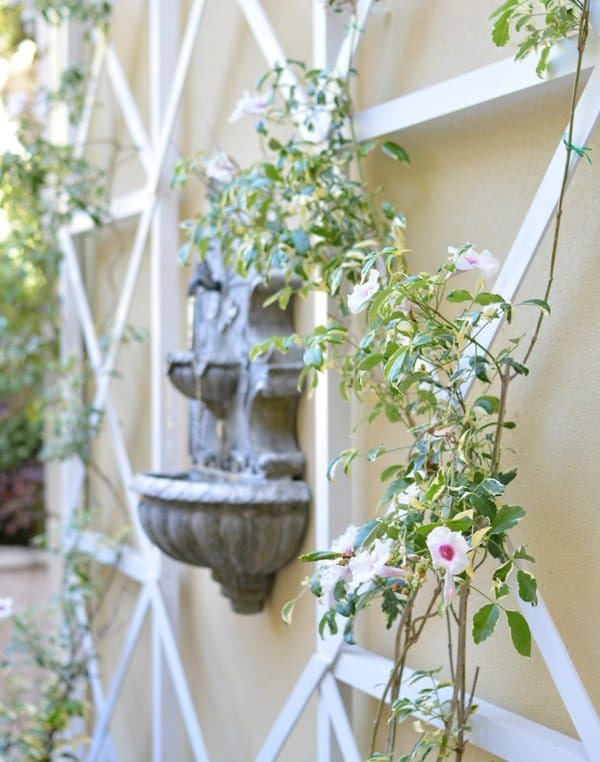 Today, I’m sharing some lovely wall trellis inspiration from around blogland. 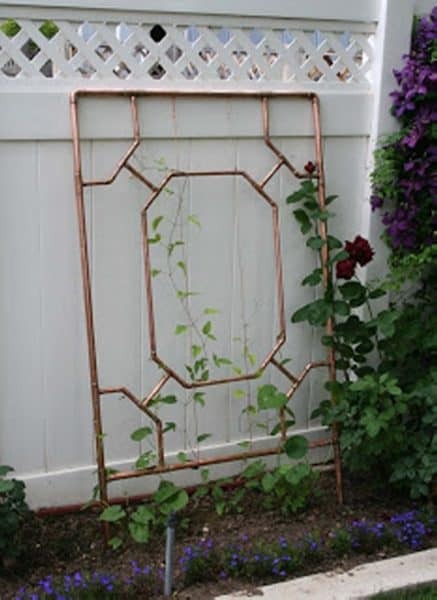 You’re sure to find something here to inspire your wall trellis project! I LOVE the criss cross style of this wall trellis via centsational girl. Kate gives full instructions to make your own on her blog. 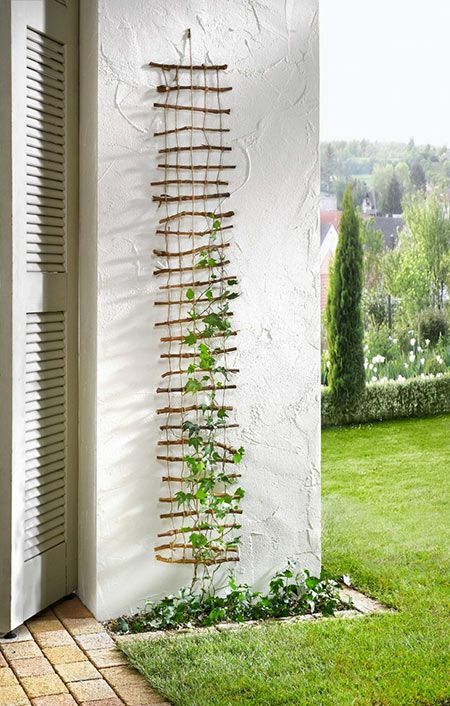 This lattice, found via lovely greens, looks like it can be purchased, but also looks easy enough to DIY on your own! This trellis, with an attached planter box, is modern, simple and minimalist. Deuce Cities Henhouse shares a full tutorial on her blog! 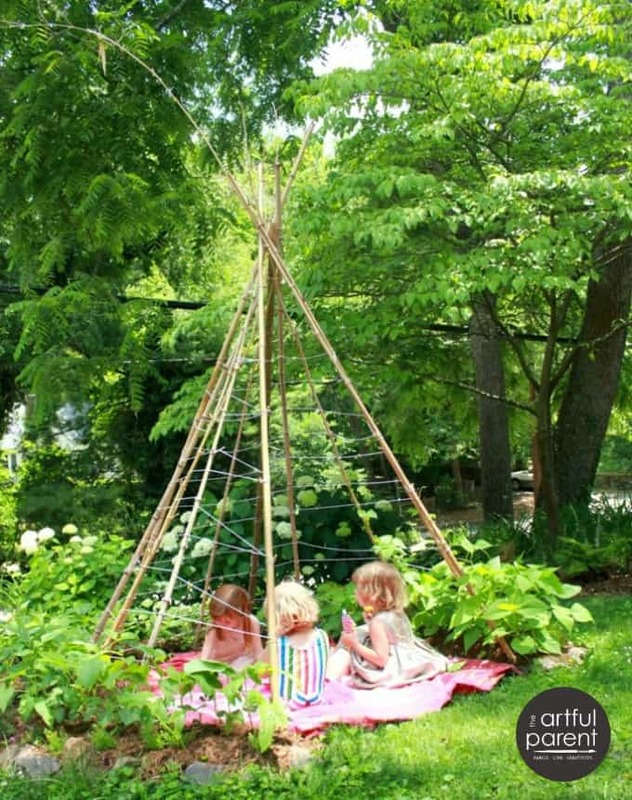 This bean pole teepee, via the artful parent, is such a creative and genius trellis idea! Love the fact that the kids can use it as for imaginative play, too! 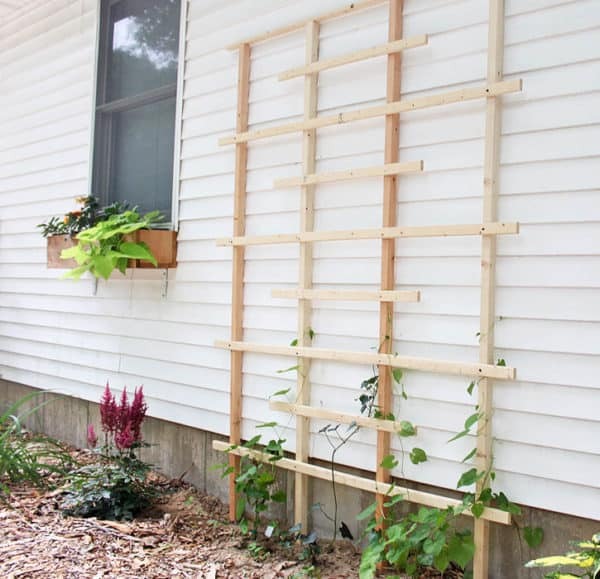 Love this fairly simple DIY trellis via Gina Michele! This would look right at home in our backyard. Via remodelaholic, this chevron trellis is the perfect way to add some sophistication and glamour to your yard, thanks, in part, to the black glossy finish! Love the on-trend chevron pattern, as well. Looking for a more modern trellis idea? 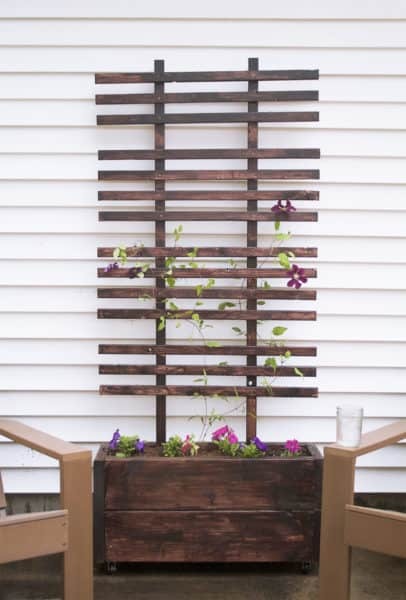 This tutorial, via Lowes, shares how you can make this freestanding trellis, what a fun addition (and conversation piece) to your garden. 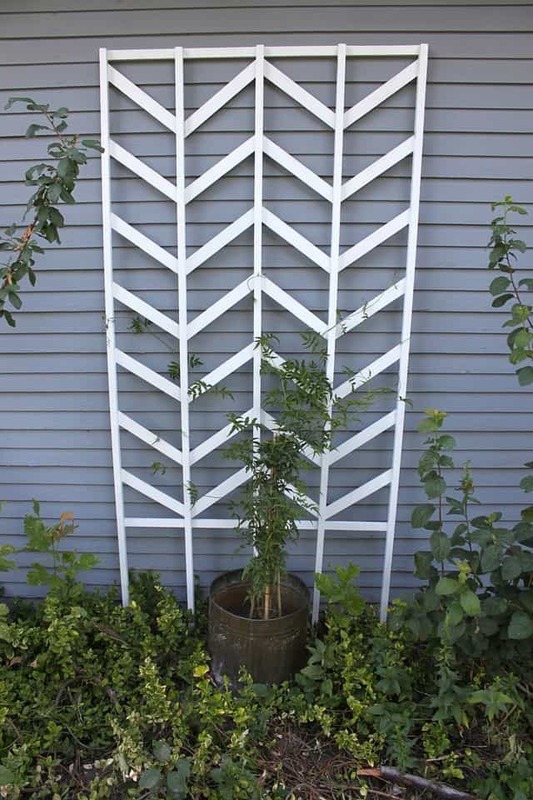 Smile and Wave shares this easy DIY chevron trellis. Love the white finish and simple pattern. Sometimes, you just don’t have the time or inclination to DIY something. 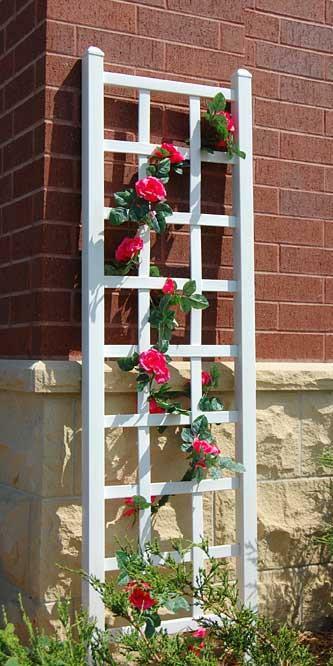 If so, this simple white trellis is an inexpensive alternative to building your own! A copper pipe trellis? What a unique and modern take on the traditional trellis! Or how about a circles trellis? This one, from Eastern Shore Gardener, is a fun and clever take on traditional straight-lined trellises! Looking for more outdoor inspiration? This post has my favorite hanging plants and low maintenance outdoor plants and flowers! 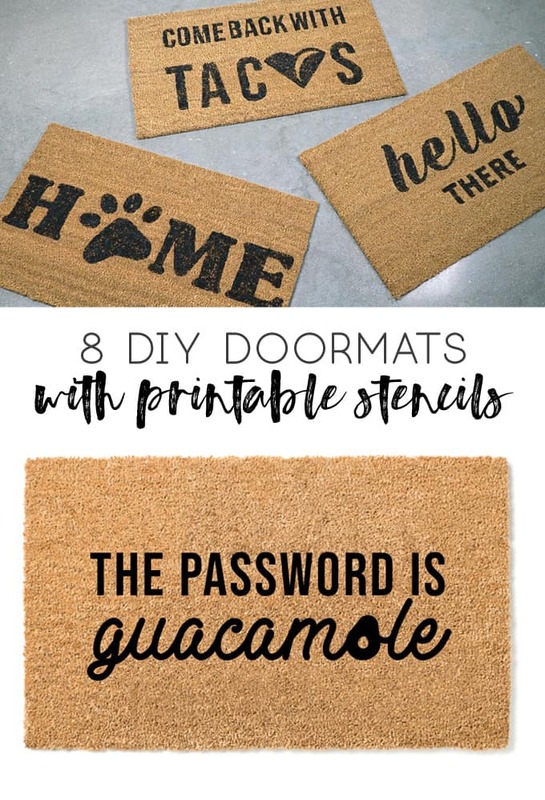 And this post has some fun and creative DIY doormat ideas! Thanks for letting me share my favorite wall trellis ideas and inspiration with you all! Have a fantastic day!